Дешифрование снимков полоценных амс зонд-3 составление карты-схемы и каталога выявленных образований. 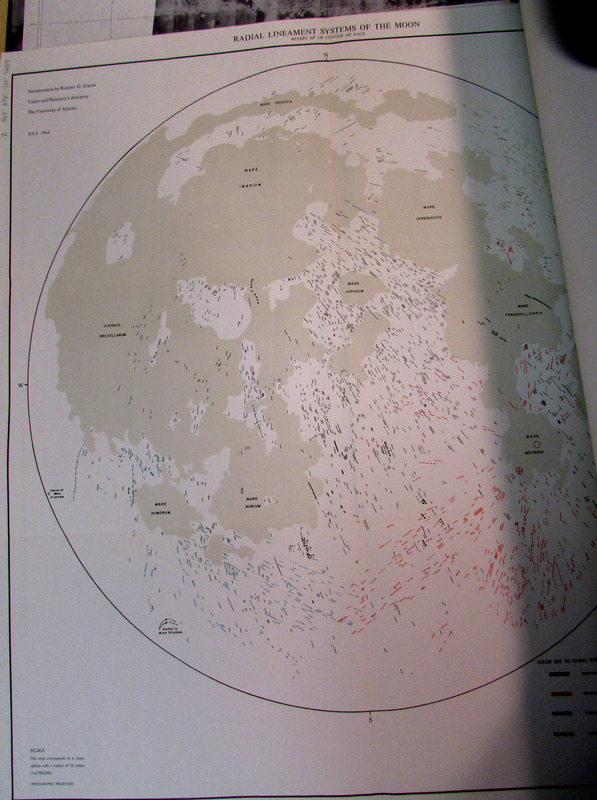 In: Атлас обратной строны луны часть II Atlas of the far side of the Moon, Part II. Moscow 1967. 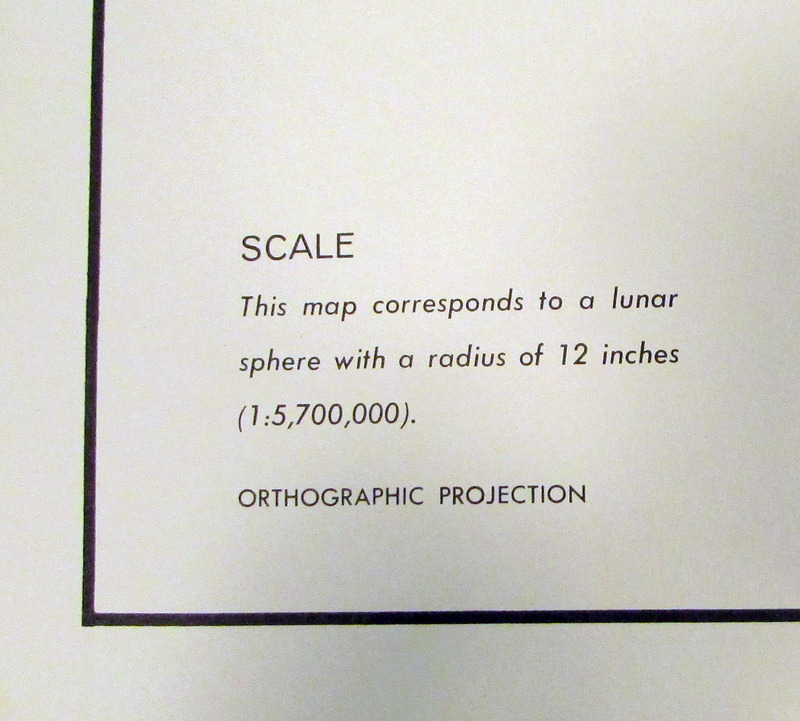 Mariner 6-7 photographs manually glued onto a globe showing terrestrial telescopic view based albedo markings of Mars. 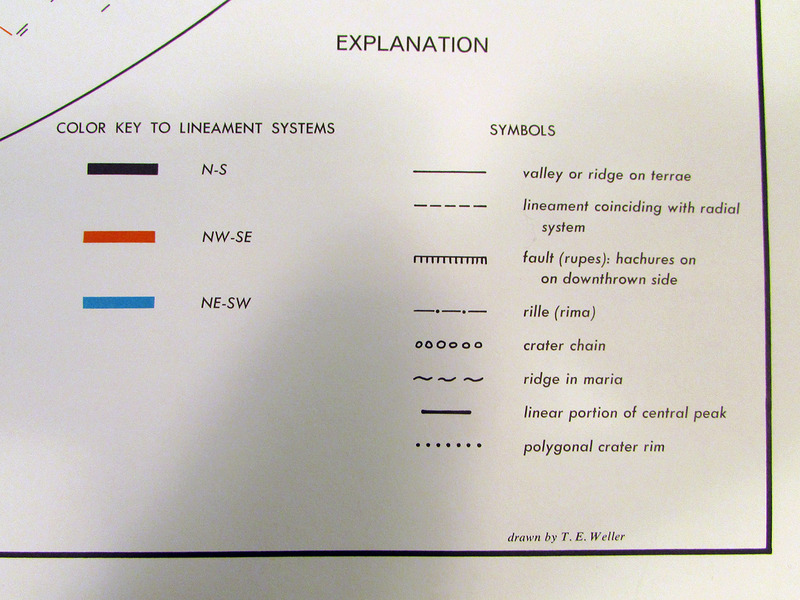 Prepared by the Army Map Service, Corps of Engineers, U.S. Army, Washington, D.C., Compiled in 1963 by stereo-photogrammetric methods, from photography by Paris, McDonald, Mt. 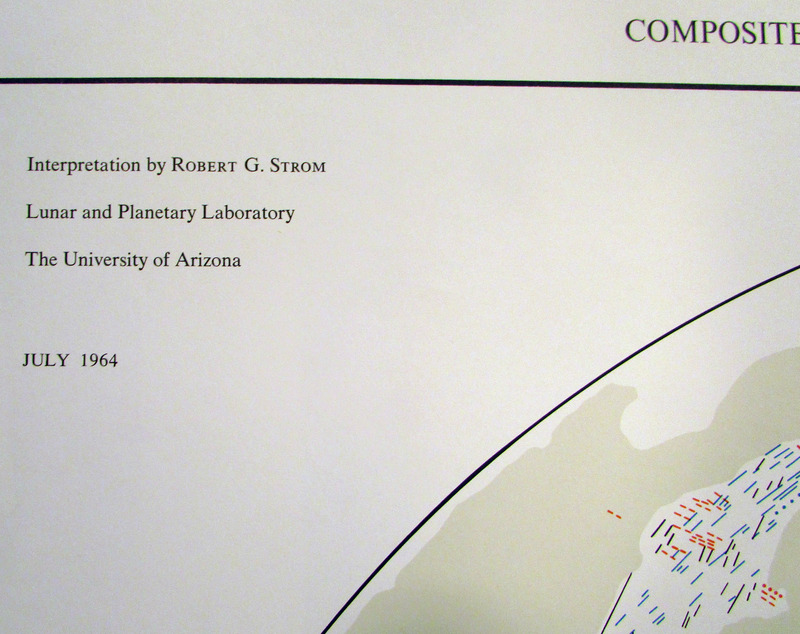 WIlson, Yerkes, Pic du Midi Observatories and other base sources. 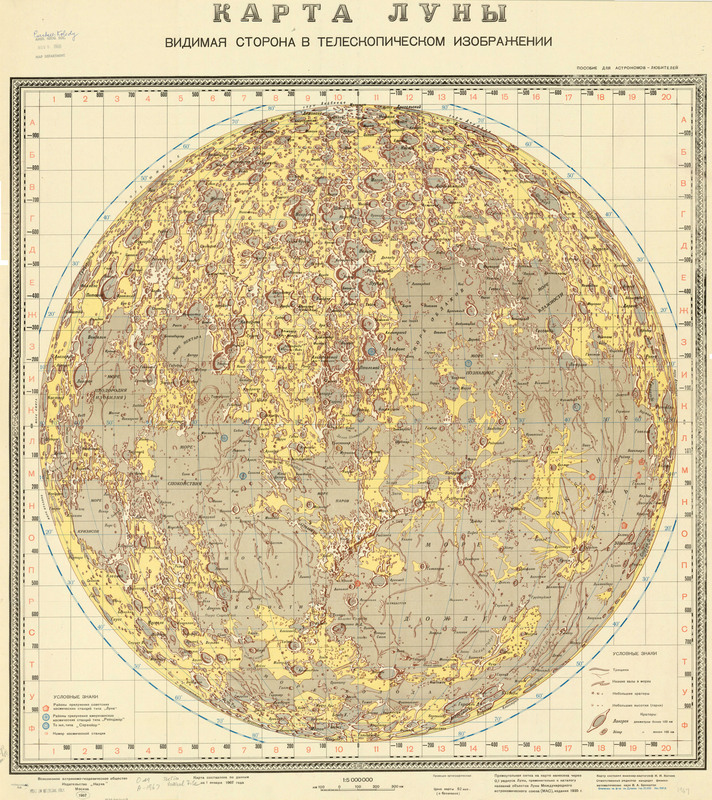 Names generally derived from and referred to “Named Lunar Formations” (1935) by M. Blagg and K. Müller. 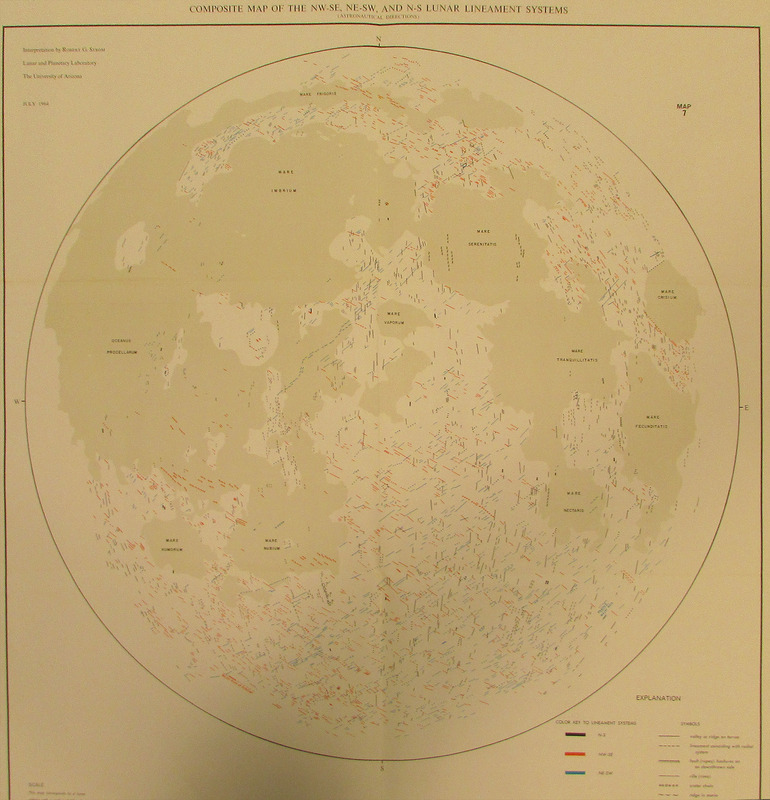 Includes complete lunar names listing on the back. Publication: Pergamon World Atlas. Pergamon Press. P.W.N. – Poland. Polish-Scientific Publishers. Warszawa. 1968. The English, civilian version of the Polish world atlas. 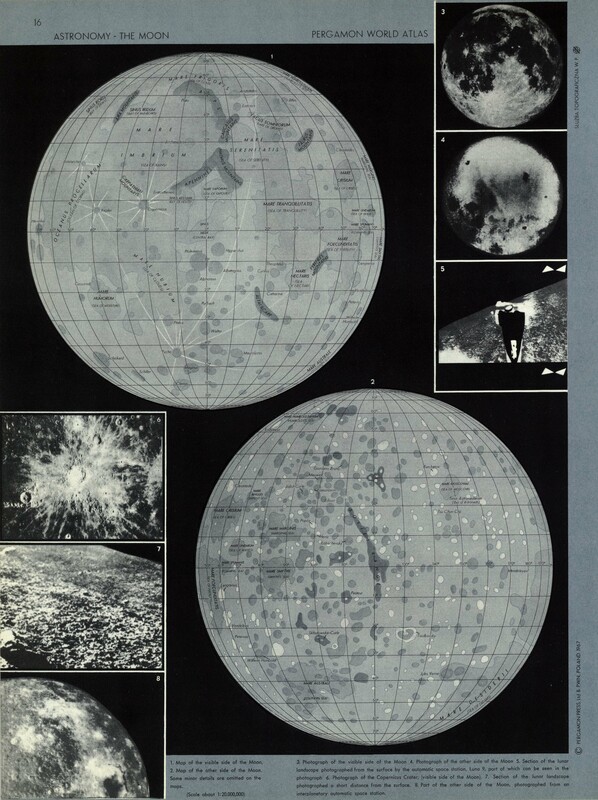 The Lunar map shows the far side of the Moon based on the interpretation of the first Soviet photographs and includes the infamous “Soviet Range” that was misinterpreted as a mountain.